Birdman Eating has been on my list of places to eat for a long long time. 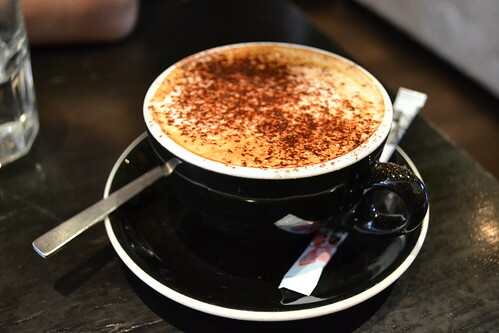 I’d read reviews bemoaning their small portion size and poor value for money, but I was undeterred and excited when I was able to venture down for a coffee one sunny saturday morning. 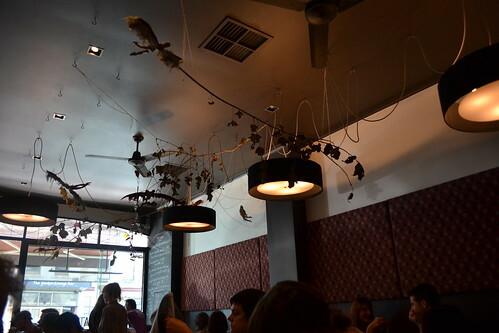 While Birdman Eating had decent food and a creative menu, it was overshadowed by poor service. We had to wait 1.5 hours to be served, finding it difficult to attract the attention of the waitstaff. When we finally got their attention, we were told that our orders were being plated and would be ‘right out’. Ummm so probably a ploy to buy time, but not so clever if your customers are sitting right by the kitchen and can see for themselves the definite lack of plating activity and definitely not clever to promise that and then have them wait another 45 minutes. /Rant. Phew, got that out of the way. Shame the service was so slow and uninterested, because the food was good. 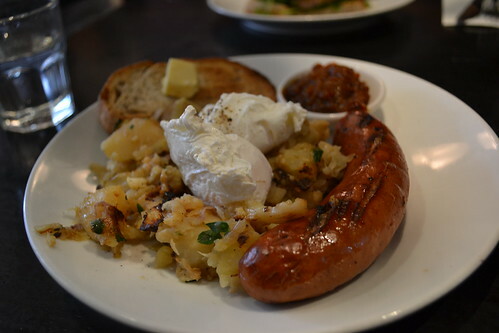 We had the chilli cheese kransky with bubble & squeak, paoched eggs, toast and some sort of relish. 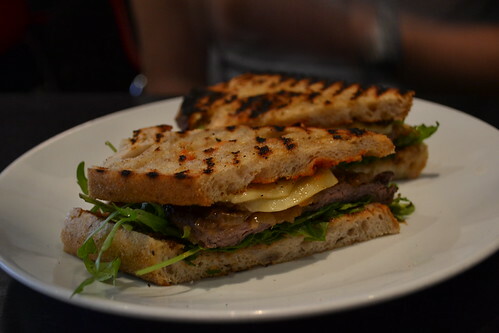 And a steak sandwich of some sort. Overall the food was yummy and there were a few interesting things on the menu that I would love to go back and try – the black rice + coconut yoghurt + mango and the smoked pulled pork + mint + roast pineapple sorbet sandwich. I hope that when I go back, their service will be a bit more awake and a bit more honest.